For the Italian and international fan, Opera in Piazza of Oderzo (formerly Opitergium) will represent, with Giuseppe Verdi’s AIDA, one of the most important venues of the coming Summer season in the entire Province of Treviso. Every year, in the charming town of Oderzo and in its splendid Square – an elegant “open-air salon”, framed by splendid historical buildings – more than 16,000 tourists and music lovers, arrive from every region of Italy, Germany, France, Austria, Norway and many others distant countries. Dedicated to the legendary and incomparable Tenor Giuseppe Di Stefano, the international Festival “Opera in Piazza Giuseppe Di Stefano” will reach this year its 25th birthday. A difficult accomplishment but also an enormous satisfaction! The International Festival "Opera in Piazza" has contributed to make Oderzo known in many parts of the world thanks to its archeological marvels, beautiful buildings, peaceful surrounding, the wine cellars, the excellent wines and its typical and local products. Performances of Opera has been absent from this territory since the last World War. Their return took place along the banks of the Monticano with the splendid performance of La Traviata by Giuseppe Verdi on June, 13th 1991. The preparation in the Town Square were not finished yet and so the performance was held in the Teatro Cristallo with great success. The International Festival Opera in Piazza in Oderzo captivates a huge part of international public that, in recent years, has always thronged the various venues of the Festival. The Festival will “exhibit itself”, as it has done for years, with Friendship Concerts at the various Lions Clubs in Germany and Opera clubs in other European countries, to spread knowledge about the most beautiful music culture of our country, in a historical atmosphere of great beauty. For the many international visitors we will organize, as usual, friendly gatherings, guided visits throughout the Province of Treviso, visits to the wine cellars and tasting of our excellent typical local products: in line with the substance and the goals of EXPO 2015. In case of bad weather the performances will be held in the Sports Palace/Theatre in Via Pontremoli. For those who will arrive by car, there are spacious parking lots all around the centre of Oderzo, or only 5 minutes away if you park at the bus terminal. The Music Association “Oder Atto Secondo” since 1991, has been presenting a programme of music to a vast public with about a dozen great performances of Opera, Operetta, Orchestral Concerts, Ballet etc., beginning in the month of July with the great Opera in Piazza, which attracts about 1600 music lovers every year from all over Europe. Opera in Piazza, for 25 years, has been the strongest tourist attraction during the Summer in the whole of the Province of Treviso. It was created in 1991 when, with an unforgettable Traviata, it brought Opera back to a territory where it had been absent since the end of the last World War. 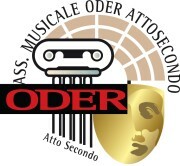 The Festival in Oderzo has presented events that have made history, that have brought to Oderzo important national and international personalities from the world of Opera, Television and Culture. Amongst the renowned participants worth remembering are the niece of Giacomo Puccini- Simonetta Puccini, the wife of the well-known tenor Giuseppe di Stefano and Patroness of the Festival of Oderzo- Monica Curth di Stefano, the first wife of Luciano Pavarotti- Adua Veroni, The Consul of South Korea, The representatives of Samsung and Hyundai, the truly great Tenor Giuseppe di Stefano to whom the Festival is now dedicated. Other participants at the Opera events are the former Superintendent of the Teatro alla Scala of Milan- Carlo Fontana, The vice director of RAI Uno- Mario Maffucci, and the singers Renato Bruson, Katia Ricciarelli, Silvano Carroli, Roberto Scandiuzzi, Maria Chiara, Angelo Mori, Nicola Antonucci, the television comperes Antonio Lubrano, Pippo Baudo, Michele Mirabella, the author Mauro Coroner, the director Renzo Martinelli, the journalists Gian Antonio Stella and Francesca Fellini, Zhenghao- Fist cultural advisor of the Chinese Embassy in Rome, He-Jalang- member of the World Federation MTC, professor of medicine at the University La Sapienza in Rome, director of the EURO-CHINA Cultural Association, Yand Rende and Cai Weimin- superintendents of the General Union of the Chinese of Veneto in Italy and many others. This year the 2015 edition of the International Festival Opera in Piazza of Oderzo, to celebrate its 25th anniversary and to award its loyal public, is presenting an imposing production of AIDA by Giuseppe Verdi. A colossal made possible thanks to the collaboration, for the first time, of the Arena di Verona Foundation and Cavallo & Company of Dario Milanese from Oderzo. Among the performers in AIDA at the 2015 edition of Opera in Piazza in Oderzo there will be the talented tenor Renzo Zulian, the extraordinary Croatian soprano Cristina Colar and the Brasilian baritone David Marcondes, the bass from Venice Antonio Casagrande. An international cast of first choice, completed by the presence of other famous artists and with the chorus, orchestra and ballet corps of the National Opera Theatre of Maribor.